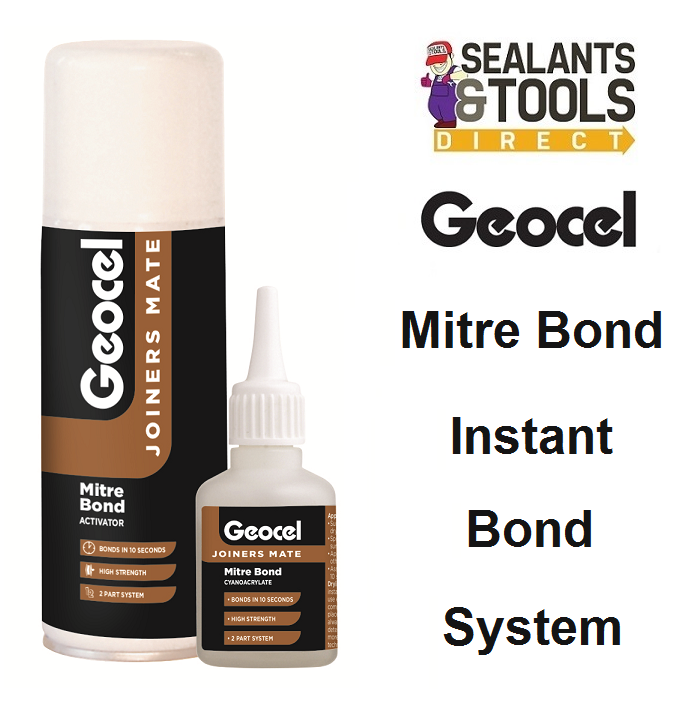 Geocel Joiners Mate Mitre Bond Instant Bonding System Kit. Geocel Joiners Mate Mitre Instant Bonding Kit is a two part professional instant bonding system. Kit comprising of an adhesive an aerosol activator. Simple to use and bonds in 10 seconds. Geocel Joiners Mate Mitre Bond developed for use on all cornice and profile mitres, trims, picture frames, skirting and architrave joints, worktop end strips, PVCu trims etc.